It’s Sunday Morning, today allow me to write some non technical stuff, this blog is a container of all my life, 98% tech 2% human.. so I want to flush my empty head this morning, just because flushing in a file taste as more ordered, and order implies clearty.. There are periods in the life that have a well defined smeel, something that is mixed up with many situations, external and internal factors..
Certain months with a precise weather, temperature, wind, sun or rain..but also time situations, works/study that begins or ends, certain people around you..nice or bad mental predispositions and happenings..
All these factors, prints in you a precise life during Smell.. There are in the life, nice parfumes and bad ones..
Today all around me smeels like a black period of my life, full of orrible torturing uncertainty, all smeels like the past sorrow and doom, but it’s only the mind torturing smeel.. Fear that the past could became present, and the future does not exists? or the one that wil vanish will be again my self? 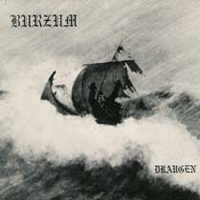 I Hope that this suffucating parfume will be only the Smeel of the Past, and not the crude Reality of the Present..
Lost lost lost.. Burzum’s Draungen picture represents perfectly this parfume..and this uncertain Sunday of another Spring.. In this little post I want to expose, what should be my future works and topics in which I’ll invest my efforst. Actually I’m developing a Device Driver Fuzzer for Windows 2k, XP, 2k3. This DeviceDriver Fuzzer that I’ll call Klystron, is similar to Kartoffel Driver Fuzzer, but it has a GUI based on MFC with the possibility to Mantain Trace of the used IOCTLs by hooking DeviceIoControl(). All catched IOCTLs will be saved and next, parsed and loaded into a ListBox that will be the launcher for the Fuzz part. The fuzz engine will be essentially based over Kartoffel, but I did not exclude that I’ll insert other fuzz options. In the next month I’ll be also studing, How the Presence of a Rootkits Could Affect Performance Graphics and if good results come out I’ll publish a little paper about that. I’ve also in plain to Translate my Elgamal Paper, and in the end of year to write A Reverse Engineering Approach to AES. In this period I’m also a bit bored of people (cause a ligth touch of Socio-Delusion-Depression) and pointless discussions all over the so called New Internet, or better known Web 2.0, so I’ll limit at the maximum my presence on IRC/MSN and Skype. My sopportation level is over also about Vulgarity and Obscenity that every day I’ve to hear, one of the great things of internet is the Liberty Real, or for less experienced persons, Apparent..
And for liberty I talk about the possibility to choise, the ambient that make you feel more Relaxed and Serene..and the massive vulgarity, arrogance and egoism with heavy touches of egocentrism, make me feel not so Clear not so Serene. Surely I’m sociopatic, but now STOP, I want to exist on internet but without hearing 24/24 people that thinks to be God and talks as a porky-pig. Some channels seems to know who you are, only when you have something to give to the others, but in other hands people is truly attentive to disclose you Resources, Sources or Links (links in all acceptions of the term). Its really frustrating to see that, and to se how people what (implicitly) you to know that you’re not a part of a Group.. So I think the best cure for my 0Tollerance of people is to disappear a bit from all “Chat” Scenes..
See you to the next post..
and this afternoon I’ll publish the Process Memory Dumper. I’m also waiting for Secunia response about an advisory written by me and Omni.